Autism can be a scary word. It can be even scarier to imagine that any setback in development might mean your child is suffering. You may worry they’ll have a hard life due to a disorder like this. However, as parents it’s important that you know how to recognize signs of Autism in early childhood and what to do next. If you and your doctor catch it early, there is a higher chance of being able to help your child. And if you feel you’ve been too late, don’t be guilty. Do what you can while you now have the facts. In this article we’ll explain some signs and symptoms of Autism to spot in early childhood. As a daycare centre writing this, we can say that you could also be asking your childcare provider to help you identify these Autism signs if you suspect something may be wrong. However, it is unlikely that this is something only a childcare provider will notice. It is mainly the parent that would notice a lot of these symptoms, as you’ll see below. It is also important to note that a daycare or childcare centre could only help you with more information about their observations. They could not provide a diagnosis for you. What is not a sign of Autism? We should first stress that just because your child may seem ‘behind’ other toddlers or babies in walking or talking, that is not necessarily a sign that they have Autism. It is totally normal for different babies to develop their human skills at different ages. If your baby is still crawling at 12 months, that alone is not a reason to worry, for example. Temper tantrums, and wetting the bed can also happen sometimes. Being a quiet baby is a possible temperament for some young personalities. And every parent knows a child refuses a certain food or has an absolute favourite toy. All these things don’t necessarily point to signs of Autism Spectrum Disorder (which now is an inclusive phrase of other formerly separate labels, including Asperger’s). If you are concerned about any behaviour, you can bring it up with your doctor (don’t be afraid!). But we would advise not worrying too much. Instead, to alleviate the worry, it would be more prudent to educate yourself on the known symptoms of Autism, using research available. What are symptoms to recognize signs of Autism at early ages? We encourage you to have a thorough read of the above links, as well as do more research outside this article. Your toddler regresses in any development area (for example, stops speaking). that are typical of a 6 month old (e.g. laughing during peek-a-boo, or because ‘hey! It’s mommy! Or ‘big brother’s snorting is so funny!’’). Your baby is not imitating you to any degree, nor pointing and reaching to communicate. Your baby or toddler is disinterested in making human contact. Your baby doesn’t speak at all, not even babbles or single words, by 16 months. They may not seem like they’re listening either. Your baby doesn’t initiate their own, “meaningful,” two-word sentences by 24 months (outside of imitation). Your baby doesn’t show an interest in being hugged or picked up. It’s also been reported that gastrointestinal problems or bodily infections could also be a sign of Autism. Being picky about food, or having a hard time sleeping could be signs too. Don’t wait it out. Don’t tell yourself it might pass. If your child has multiple of the above symptoms, catching it early with a doctor and team of specialists can help reduce its effects. Don’t let a doctor tell you “it’s nothing” either, if you’re sure your child matches up to all the “red flags” (as they are described on the links above). Also keep in mind that symptoms can sometimes seem ‘hidden’ by other factors. You should be able to see signs of Autism by 3 years old. Don’t guilt yourself. It’s not fully known yet what causes Autism. While yes, some environmental and genetic factors are being considered as causes, we would not want you to believe that you ‘gave’ your child Autism. The research seems much more complex than that. Plus unnecessary stress at a time like this will probably not help…though we definitely understand and sympathize with why you would be stressed. Don’t panic. Autism is more now being seen as not a disability. It can be a strength too! There are famous achievers you may have heard of who are on the Autism spectrum. Canada has an organization dedicated to helping Autistic peoples get work, and you can see their successes here. The first step, as noted above, is to visit your doctor. Your doctor will need to get you on the path to making a diagnosis. This may involve other specialists, such as a paediatrician, psychologist or others. Remember, Autism Spectrum Disorder is related to brain development, and is diagnosed using mental disorder guidelines. You will also want to learn about community resources available to help your family, both private and government-funded. While some complain that help for parents of children with Autism is difficult in Canada, it’s not non-existent either. Although, yes, some of these programs may be part of a private system that you pay for out-of-pocket, and not part of publicly funded healthcare. Some non-profit or donation-based programs may also be out there to help children with special needs. Also, a group has formed to respond to Canada’s need to address Autism. It’s called the Canadian Autism Spectrum Disorders Alliance. Their website has more information if you are interested. We hope the above resources have helped you in learning signs of Autism. We also hope we’ve motivated and inspired you to get help as soon as possible if you do feel that your child may be on the Autism spectrum. Thankfully, in Canada, we have access to several resources to help parents struggling with this issue. 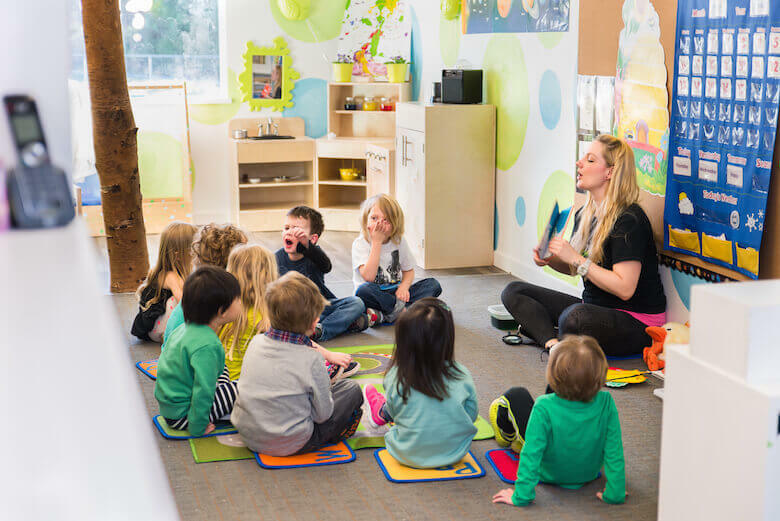 Don’t be afraid to bring this up with your daycare or childcare provider to seek solutions to problems that your child may have as a result of diagnosis, or possible diagnosis. You’ll need to find the best route possible for your child – whether that’s a group setting, a one-on-one home setting, or otherwise. Remember, your child will be unique, and comparing them to what other Autistic children do is not necessary. It’s important to make their individual needs come first when it comes to childcare, schooling, or other decisions that come with Autism Spectrum Disorder.